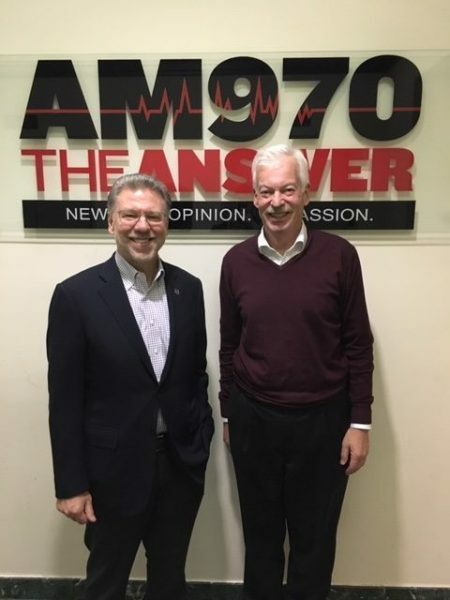 The following is a conversation between Harry Johns, President & CEO of the Alzheimer’s Association, and Denver Frederick, Host of The Business of Giving on AM 970 The Answer in New York City. Denver: One of the greatest fears that people have is of Alzheimer’s disease. But as this country and the world gets older, its prevalence will only increase. There is no organization that has driven the public discussion of this disease more, nor done as much to secure private and public funding to combat it than has the Alzheimer’s Association. It’s a great pleasure to have with us this evening their president and CEO, Harry Johns. Good evening Harry, and welcome to The Business of Giving. Harry: Good evening. It’s great to be here. Denver: Share with us some of the history of the Alzheimer’s Association and the mission of the organization. Harry: The Alzheimer’s Association came into being in 1980 as a result of the advancement of science, the very specific interest of our primary founder, Jerry Stone, who had an interest in research, and the interest of a number of people who were doing care across the country. They came together to form the organization and the core of our mission still today. Denver: Do we know what causes Alzheimer’s disease? Harry: We don’t really know the true path. We know a lot of advances in science about the whys but not the very specifics. We do know that age is the biggest risk factor, as it is for many other chronic diseases. It is not normal aging, but age is the single biggest risk factor. Denver: We hear a lot about plaques, and we hear a lot about tangles. What are those, and what impact do they have on the brain? Harry: Both the plaques and the tangles were what Alzheimer himself originally identified by now 112 years ago. So it’s been around in identification for a long time, but not by scientific pursuit, and those plaques and tangles are misfolding, mis-accumulating proteins in the brain. We have those proteins, each and every one of us, but when they misfold, mis-accumulate, then we get a cascade of events that ultimately lead to the progressive and degenerative effects of Alzheimer’s. So it is a devastating condition as a result. Denver: As you well know, sometimes people talk about Alzheimer’s. Other times, they talk about dementia. Sometimes they use the names almost interchangeably. What is the relationship of Alzheimer’s to dementia? Harry: Alzheimer’s is the most frequently occurring cause of dementia. Dementia is the condition. It can also be caused by vascular problems, vascular dementia; Lewy body dementia, frontotemporal dementia; all of these are lesser in terms of the numbers of cases of dementia they cause. But they all ultimately cause what are the problems with memory, the problems with getting through everyday life that dementia is. So many people have dementia in America, Alzheimer’s alone, we estimate more than 5 million, probably north of 6 million today for dementia overall. There are now going to be more people over 65 than under 5 for the first time ever in the history of the world. It, of course, drives all kinds of issues in health, healthcare, and costs for governments and for individuals across the world. Denver: I’ve asked a number of guests on the show this question, and that is: what is today’s most underreported story? Several have responded: the aging of the world’s population. I suspect you might agree with that answer. How old is the world becoming? Harry: Certainly the condition today is that age is the biggest risk factor for the world, perhaps we could say. There are now going to be more people over 65 than under 5 for the first time ever in the history of the world. It, of course, drives all kinds of issues in health, healthcare, and costs for governments and for individuals across the world. At this point, we estimate there are about 50 million people worldwide who have dementia because of some cause, and that all of these numbers in the United States and worldwide are set to basically triple by mid-century. That’s of course if we can’t correct the situation. I believe we can. I believe we will, but those kinds of effects are huge already today on economies, on individuals, and will be ever more so, of course, if we don’t change that course. Denver: You mentioned that the prevalence of Alzheimer’s in the United States today is 5-, 6 million. What would that number be around the world? And what do the forecasts look like over the next several decades? Harry: At this point, we estimate there are about 50 million people worldwide who have dementia because of some cause, and that all of these numbers in the United States and worldwide are set to basically triple by mid-century. That’s of course if we can’t correct the situation. I believe we can. I believe we will, but those kinds of effects are huge already today on economies, on individuals, and will be ever more so, of course, if we don’t change that course. Denver: Let’s talk about economies and stick here in this nation. What are the costs associated with this disease now, and what are they projected to be? Harry: In the United States alone, we estimate that the current costs for care are about $277 billion, in just this year alone. That doesn’t account for the cost to individuals from the care they provide themselves. And that’s up in the $230 billion value range. The impact is huge already today. All that is set to follow the same path of the growth of the disease, of the condition. And that would take us to in the US alone in the care cost, the hard cost, $1.1 trillion in a single year by mid-century. Denver: That would be about double the defense budget now. Harry: That’s exactly right. And one of our greatest champions in Congress, Senator Roy Blunt, often quotes that particular statistic to make the point to his colleagues and to the country that we have to act on this. Denver: Harry, what are some of the early signs and symptoms of Alzheimer’s? And the question I know that I think is on a lot of people’s minds: How do you distinguish them from typical, age-related change? Harry: Certainly all of us as we age have the kinds of changes you’re describing. It’s not unlike the fact that we don’t run as fast or do anything else perhaps as well as we once did. But those are natural and slower declines. For Alzheimer’s and other causes of dementia, you wind up with what are more precipitous declines oftentimes. Some people do actually progress through the disease for as much as 20 years. Ultimately, while it starts maybe with a little memory loss; my mother had the disease. She couldn’t, though she was a Depression-era girl, balance her checkbook– which she had done every week– and couldn’t do it anymore. Those were the first changes, but ultimately, it progresses to simply not being able to swallow, not being able to walk. It is progressive and degenerative, and it is ultimately fatal if not another cause of death comes first. If you start to not know what your keys are for, then you’re starting to cross into what would be dementia, Alzheimer’s-caused, or otherwise. If in fact, we can’t find those keys, that’s more likely the typical just slowing down on speed processing. Forgetting names; names are tough for anyone, at any age, and those things will progress, but when it comes to not being able to do things you previously have been able to accomplish, then you’re starting to cross over into dementia. Denver: Give me an example of a typical age-related change. Because there’s a lot of people who sometimes forget things and wonder: Is this more serious than it really is? Could you give us that distinction? Harry: Certainly, we all lose track of our keys for example. I’ve done that my whole life. It’s not simply just age-related. But the age thing of course can exacerbate those things, again at a lesser level. If you start to not know what your keys are for, then you’re starting to cross into what would be dementia, Alzheimer’s-caused, or otherwise. If in fact, we can’t find those keys, that’s more likely the typical just slowing down on speed processing. Forgetting names; names are tough for anyone, at any age, and those things will progress, but when it comes to not being able to do things you previously have been able to accomplish, then you’re starting to cross over into dementia. Denver: Are we able to diagnose Alzheimer’s before its onset? What are the benefits of that, if any? Harry: Today, we have, with the right tools in the hands of the right people, the ability to be 90+% accurate with an Alzheimer’s diagnosis for an individual. Not everyone everywhere has those right tools, and they aren’t necessarily those right hands. But if you get to a place that has trained neurologists, Alzheimer’s Disease Center, those around the country, Alzheimer’s Disease Research Centers… those individuals can make a pretty accurate diagnosis. Otherwise, the diagnosis I’m afraid is not so accurate. In fact, too often, even when a doctor prescribes to the disease, the doctor doesn’t still tell the family or the individual in about half the cases. So, that’s a major problem. 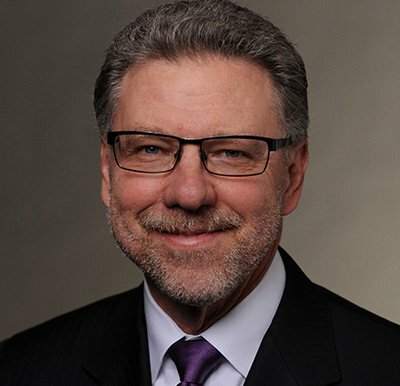 The benefit in being detected, being diagnosed, is that even though we don’t have treatments today that change the underlying course of disease, we know that the interventions we can help with– at the Alzheimer’s Association, with care and support interventions… and that others can in local communities– those can make differences in the lives, the quality of lives for the people that have the disease and for the caregivers. 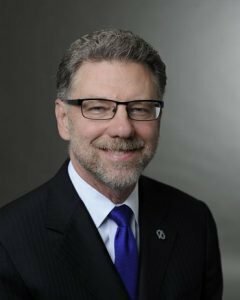 Denver: There are a lot of myths that surround Alzheimer’s, particularly as it relates to its causes, and I would suspect you’ve heard every single one of them. What are some of the more common myths that you’ve heard? Harry: I think the most common one is that Alzheimer’s is just a little memory loss. That people think it’s not going to be a very big effect, and we don’t really have to pay attention to it. We don’t have to talk about it. We don’t have to get detected or diagnosed. That is a serious mistake because as the disease progresses, families don’t know how to deal with it. Getting that diagnosis is really important to those ultimate outcomes. Harry: Certainly, there are other kinds of things on the scientific side. For example, one of the most frequent questions I answer is about aluminum, which of course I’m sure you’ve heard that one. These kinds of things have been dismissed by science, but still they persist because they do remain available of course online, that sort of thing. So that’s another kind of myth altogether. There are, as you said, many that persist about the disease. Certainly, the idea that you’ve already asked the question about, diagnosis, that you can’t diagnose Alzheimer’s until autopsy. There is perhaps a shred of truth in that in the sense that it’s absolute then, of course. But even today, we now have made advances in science where we can get an actual scans of the brain to determine the presence of the plaques you asked about. Those are available in the clinic. They’re not cheap, and they’re not covered by insurance. So, we have issues there. For the tau, the tangles that you asked about, we have that in the lab, but not yet available to the public. But we’re gaining on those fronts as well, and those are in live human brains, to see the actual pathology of Alzheimer’s present in a live human. Denver: Another myth I’ve heard too is that only old people can get Alzheimer’s. That would not be correct, would it? Harry: Certainly it’s true that the prevalence, the highest incidence is among those who are 65- plus, but there is especially a strain of the disease that is genetic. It’s only about less than 1% of all incidence or prevalence. But for those individuals, if they get the gene mutation, they will get the disease. Many of those families experience the disease certainly in their 50s, their 40s, even the 30s, and absolutely rarely in the 20s. It certainly is true that younger-onset Alzheimer’s occurs also for people who don’t have that genetic path. Especially you’ll see that more often in the 50s, and that is devastating as well, especially for people who still have children in school. These are not things people typically think of as you say. Denver: Are there steps that an individual can take beyond the obvious of not smoking and exercising regularly to promote brain health? Harry: We just have emerging science within the past few years– a study done in Finland, called the Finnish Geriatric Study that demonstrated the potential to do lifestyle interventions of those sorts. So that if people do maintain better diet, exercise as you said, engagement in community, potentially other kinds of brain activity, stimulation, education; those kinds of things taken together, proved– and it was placebo-controlled trial…-gold-standard trial– that suggested you can in fact change risk level by those kinds of…effective cardiovascular-style management and interventions. We now have the evidence from the SPRINT MIND trial announced this past summer at the Alzheimer’s Association International Conference that suggests, about to be published in a peer reviewed medical journal, that in fact you can intervene on hypertension with a more aggressive approach to managing hypertension to 120 or below, and that the potential then is to actually eliminate perhaps as much as one in five occurrences of mild cognitive impairment which are the precursor to full-blown dementia. That is a pretty exciting finding as well. That would be a simple medical management, comparatively, of hypertension along with the lifestyle changes. Denver: Let me ask you about brain training games, crossword puzzles, learning a foreign language;I read contradictory things about that… what’s your take on all those things? Harry: The science is mixed, and there have been a couple of panels that have suggested at a meta level of analysis, that not all these things can yet be promoted as absolute ways to risk reduce, but there is mounting evidence that those kinds of things make a difference. We know that community engagement makes a difference for people. Even in those who already have the symptoms of the disease, we know that, in fact there is evidence that people who have learned many languages seem to have some protection. Education may be protective, but some researchers believe quite strongly it isn’t so much education in total, but early education access, and that can make a huge difference as well. We work with people who provide care in homes, across the country in communities every day through our 800-272-3900 number, through ALC.org. Those are places where people can come, 24 hours a day, 365 days a year, talk to a live human being who’s a trained social worker; those folks have talked people all the way to the point of out of murder/ suicide because of the challenges that come with this… and certainly lots of information on the website as well to help navigate this. Taking care of themselves is the first order of business. It’s not unlike when the flight attendant tells you to put your mask on first because then you’re going to save the people around you by putting theirs on. It’s the same idea; if you can’t take care of yourself, you won’t be able to take care of others. Denver: Being a caretaker for anyone with a serious chronic disease is a huge challenge, and I really can’t imagine anything much more difficult than taking care of someone with Alzheimer’s. What advice do you have for those caretakers, for those family members? And what things does the Alzheimer’s Association do to help support them? Harry: We work with people who provide care in homes and across the country in communities every day through our 800-272-3900 number, through ALC.org. Those are places where people can come, 24 hours a day, 365 days a year, talk to a live human being who’s a trained social worker; those folks have talked people all the way to the point of out of murder/ suicide because of the challenges that come with this… and certainly lots of information on the website as well to help navigate this. Denver: That can be hard to do, I’m sure. Harry: It’s very challenging. My own mother has had this disease. My wife’s mother, I’ve seen it up close and personal. It’s challenging, and I’ve seen too many caregivers themselves succumb to illness, stress, depression. We know that those things happen frequently for caregivers, so it’s so important for them to take care of themselves and turn to the Alzheimer’s Association or elsewhere for the kind of help and support we and others can provide. Denver: I had the great pleasure when I was out at your office and meeting some of the people in the call center, and I have had some friends who’ve called, and it is absolutely fantastic, the job that they do. The Alzheimer’s Association is the world’s largest nonprofit funder for Alzheimer’s research, and I know how difficult it’s been to really get the breakthroughs we’ve all been hoping for. How do you go about funding this research? And do you believe there are some things out there right now that hold particular promise? Harry: We certainly work hard to fund this. There are many generous individuals as donors who help us make that happen. There are people of course who participate in walks and other activities across the country. All of our donors in some way or another make it possible to be the largest funder. I’m proud to say too, Thomson Reuters says we’re the highest impact funder, not only in the nonprofit space but third, only behind the US federal government and the Chinese Government in overall impact. I do believe that we in fact are making great progress. We do run that largest science meeting in the world every summer, and at that one this year, we had some real advances in drug development as well as this hypertension trial I mentioned. The advances are coming and ever faster because the federal government has increased what it funds. We worked on that hard. They are doing that. That’s making a big difference. The research community is more upbeat than I have ever seen them. I’ve been involved in the Alzheimer’s world now over 13 years, and the whole community believes that we’re on a path now to seeing advances that will lead us ultimately to what is the 2025 objective in the plan for the United States– which is prevention and effective treatment. So we are on that course, I believe. Denver: One of the things that’s accelerating that course, and one of your core tenets, is sharing research data. Why is that so important, and what do you do to promote it? Harry: Regrettably, across all of medical research, data are not shared as much as most likely people believe they are. Some of the very prizes that people hear about that have the greatest recognition, too often I’m afraid to say actually lead to people retaining data for achieving those kinds of outcomes. And actually IP departments at universities are so protective, it’s hard to get things leveraged out and into to wider use. Some of these things are real impediments to the advancements of research. The very meeting that I’ve mentioned is in no small part aimed at sharing those data, and we work on a project called GAAIN, Global Alzheimer’s Association Interactive Network. It’s a cloud network available to anyone, anywhere; all the tools are in the cloud, so you don’t have to have local computing power, so that anyone around the world can access data that we continue to populate into that space. We’re working with many others across the world on data sharing so that people have the best access in the research community to what’s already been done. We don’t have the money to replicate those things unnecessarily, and learning from each other can advance things very swiftly. We’ve seen that already happen in the Alzheimer’s Disease Neuroimaging Initiative where it’s shared. Many many more advances as a result. Denver: You touched on this a moment ago. Let’s talk a little bit more about public policy. Through your relentless efforts and others, in 2010, the National Alzheimer’s Act was passed. I think it was enacted into the law the following year. What did this call for? Harry: That act actually called for the creation of a plan I mentioned a few moments ago. We did not have a plan in the United States for all the impact we talked about early on. All the numbers of people, all the cost, all the human impact of the disease. Now we do have such a plan, and that plan has now led to other advances as a result. So, that the Congress has been motivated to act as a result of the plan that they actually asked to be created. So credit to them for that. Denver: That led to I guess about four years later, the Alzheimer’s Accountability Act. Harry: That’s right the Alzheimer’s Accountability Act of the Alzheimer’s Association worked with leading members of Congress to create, have filed, and ultimately passed, and it takes it up a level to having the scientists at the National Institutes of Health actually tell the Congress how much additional money is needed in each coming annual appropriation to be able to reach that 2025 objective. The Congress has responded to that with significant increases over the past several years. Denver: What was your increase this past year? Harry: This past year was $425 million added to the base. That was on top of $414 – $400, and $350 million before those. That adds up to now about $2.3 to $2.4 billion being spent annually. That’s crucial because we know in cancer, we’ve come to the point where about two-thirds of cancer patients can be cured, and we’ve been spending about $6 billion on cancer every year to make that happen. It’s not cheap, but it’s far cheaper than the cost of the disease that we talked about before and certainly it diminishes so much of that human effect. There are huge returns in making those investments. The Congress, credit to them, has stepped up to that on a bipartisan basis when other things haven’t been moving. Denver: You’re one of the few exceptions when I hear the word bipartisan basis. Give us a sense of the business model of the Alzheimer’s Association, including how you’re organized around the country. Harry: The Alzheimer’s Association is really the beneficiary of many, many small gifts from individuals across the country. We certainly have large major donors as other organizations do too. But our primary driver is small gifts from individuals, grassroots individuals, across the country. They come out; they walk; they want to make a difference about this disease because they themselves– too many of them– have been affected, and they drive our ability at the Association to do all of these things we do across the disease. Denver: Harry, how do you balance funding priorities? I know this can be an issue of discord in many national health organizations, as it has been in yours. That is the urgency to fund research and impact public policy on one hand, and then supporting patients and families struggling with this disease right now on the other. How do you bring those together? Harry: Balancing those kinds of strategies are always tough. I worked in cancer for many years. Tough there. Tough here in Alzheimer’s, but we make those choices on the very core of the mission of the organization, from those origins we talked about earlier where the people came together to do care and support and research. So we do care and support in communities on that 800 number, on that website every day for millions of people ultimately annually, and we aim to also have the federal government do what they need to do, the state governments do what they need to do, private organizations do things that can occur for betterment of care. And, then to drive the research that we fund… It’s so important for the Alzheimer’s Association to directly fund research because I always joke and even with my friends in the federal government who we work with closely: we’re faster than they are. We are, and we can advance things by years, by getting things started. That’s why we have to do the research even as we increase those federal dollars because we seed fund, we speed funding, and then the federal government can scale the funding to the outcomes. Critical that we balance those efforts because until we can get all those answers through research, too many people are affected today in the care needs and the families who are caring– their own needs as well. Denver: That’s very smart how you complement those two things because as ironic as it may sound, nonprofit organizations actually can encounter failure and take risks more easily than the federal government. They have to go through the system, and they tend to fund very conservatively, and breakthroughs are sometimes not from conservative strategies, but from where people are willing to roll the dice a little bit on something. And you guys are doing that. Harry: You are absolutely right. We have taken that position for years in the research we fund. In fact, the entire research community now believes that we should intervene sooner, and that is because we funded something no one else would fund– which was the identification of those plaques in the brain that you asked about with a radio tracer. And what that ultimately helped the whole field determine is that those plaques are present as much as 20 years in advance of the symptoms. And thus the consensus is: we now must intervene sooner so the risk reduction we’ve talked about, the potential of lifestyle intervention that can make a difference… and even utilizing the drugs that are in the pipeline, potentially, ultimately, not unlike a statin for cardiovascular disease, is now a course that we’re on that we were not before. Taking those risks are crucially important even as we increase the federal funding because as you say, they are constrained by certain conservative approaches that will never allow them to take the kinds of risk that we can do and make a difference with. Denver: Absolutely. Let me close with this Harry. One of the biggest single drivers of public policy around an issue is getting people to talk about it. I can remember a time when cancer in this country was never discussed. As a matter of fact, when I was younger, it wasn’t even uttered. It was called the Big C, and most doctors would… if they diagnosed someone with cancer… would never even tell them or their family. You have done a lot in getting more people to talk about Alzheimer’s and dementia. But a lot more has to be done to have open and candid conversation. What can we do…what can you do to see that this, in fact, happens? Harry: You are certainly making a difference to me by having this conversation which I deeply appreciate, and all of your colleagues in the media who do that make a real difference by raising the attention to the disease. And certainly I will ask everyone who hears this to do the same: Talk about it. Simply talking about these things as you suggest can make a difference in what are the outcomes. It was true that at one point not too long ago, nine out of ten doctors did not tell their patient when they had a cancer diagnosis. That changed, and when it changed, the pathway to the outcomes changed. That is when people started talking about it more widely; then funding occurred. Activity occurred that drove research, detection, diagnosis. All those things can change, and this very conversation, conversations people can have in the community can change that every day. So I’ll ask everyone to do that. You can be assured we will continue to do it. We’ll continue to work on that. We’re working on some things that will be campaigns you’ll see in the future right now… not ready to release… that will ask people to talk about it even in families because too little is done even at home when there is recognition there’s a problem. That alone can make a difference. Talk about it at home. Talk about it in public, and you’ll help us drive to the point where we’ll realize the vision of the Alzheimer’s Association, which is a world without Alzheimer’s. Denver: Fantastic. Harry Johns, the president and CEO of the Alzheimer’s Association, I want to thank you so much for being here this evening. Tell us about your website, the kind of information you have on it, and how listeners can get involved and help support this work. 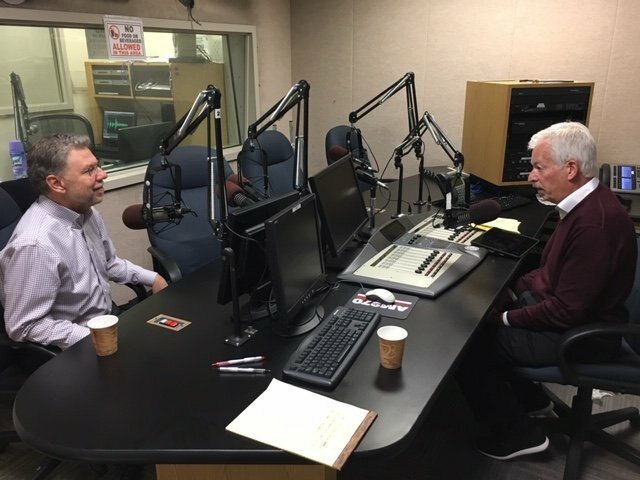 Harry: At alz.org, we have a breadth of information and depth of information about Alzheimer’s, other causes of dementia, ways they can get involved. We’ve just gone through our walk season around the country. Thank everyone who’s participated there. There are many ways to get engaged as a volunteer locally. We encourage you to do that. Encourage each individual to help in any way you can. Help us, Help others, and it will make a difference in these outcomes in the near term and in the long term. Denver: Thanks, Harry. It was a real pleasure to have you on the show. Harry: Thank you. Pleasure to be here.